AMP or Accelerated Mobile Pages is an open-source initiative led by Google to improve the performance of websites. The aim is to load web pages faster for a better user experience. The official AMP Plugin for WordPress by Automatic makes it quite easy to create AMP versions of all your posts. Since the AMP project is quite new, webmasters have encountered various problems and challenges while trying to implement AMP versions of their websites. One of the challenges that the webmasters have faced while validating their WordPress AMP pages through Google is the Fix Missing or Invalid Structured Data Item validation error. The error is further described as, “A required property in your structured data is missing, misspelled, or has an invalid value.” See the image below for an example. Upon clicking the Test Your Structured Data link, a page opens listing the single error which caused this problem. See the image below. Step 1: Create a site icon which is 512 x 512 pixels in size. Step 2: Login to your WordPress site. From the menu bar, select Appearance > Customize. 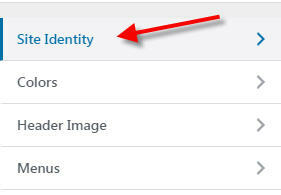 Step 3: From the Customize page, click on Site Identity menu bar option. Step 4: Click on the Select Image button located under the Site Icon section and upload the image you created in Step 1. Once you upload the site icon image, go back to validate your page using Google’s Structured Data Testing Tool and the error should be gone. How to Fix Missing or invalid structured data item on blogspot?